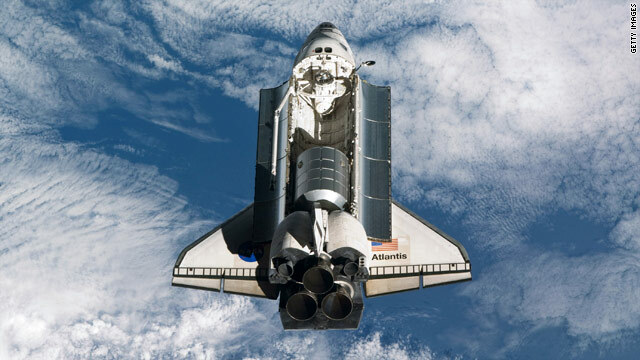 In this handout image provided by the National Aeronautics and Space Administration (NASA), NASA space shuttle Atlantis in Earth orbit just before docking for the last time with the International Space Station July 10, 2011 in space. Editor's Note: The following is an edited excerpt from a transcript of Fareed Zakaria answering viewer questions online. We need to re-think the purpose of space missions. For years the U.S. shuttle program has basically sent people up into the inner atmosphere, spun them around for a while, and then brought them back. We’ve been doing this now for 15 or 20 years. It’s not entirely clear what the point is. We’re not learning much more and it’s incredibly expensive at $1.5 billion per shuttle flight. Editor's Note: Elliot Pulham is chief executive officer of the Space Foundation. The following is reprinted from the Space Foundation with the permission of the author. Today is scheduled to be the final Space Shuttle launch. It is the end of an era. It is not the end of the world. I'll be the first to say that I am not happy that the United States is going into a "blackout" period whereby we will not be able to launch our own astronauts into space. But, I also think it's important to keep what's happening in perspective.